Expanding his collected essays on architectural theory and criticism, Chris Abel pursues his explorations across disciplinary and regional boundaries in search of a deeper understanding of architecture in the evolution of human culture and identity formation. From his earliest writings predicting the computer-based revolution in customized architectural production, through his novel studies on `tacit knowing' in design or hybridization in regional and colonial architecture, to his radical theory of the `extended self', Abel has been a consistently fresh and provocative thinker, contesting both conventions and intellectual fashions. This revised third edition includes a new introduction and six additional chapters by the author covering a broad range of related topics, up to recent concerns with genetic design methods and virtual selves. 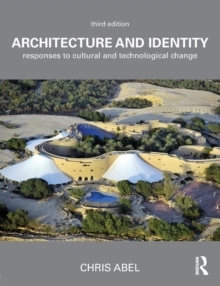 Together with the former essays, the book presents a unique global perspective on the changing cultural issues and technologies shaping human identities and the built environment in diverse parts of the world, both East and West.